The new P30 and P30 Pro come with triple and quad camera setups, respectively. The MediaPad M3 and the Media T2 7.0 are now officially available in the Philippines. Huawei has officially launched its latest pair of flagships, the P10 and P10 Plus, in the Philippines. We take a quick look at the Huawei GR5, the company's latest mid-range offering, to see just how well the device performs in its category. The Huawei Mate 8 is the company's latest flagship phablet and it's looking like it's the company's best one yet. We unbox and take a quick look at the Huawei MediaPad T1 7.0 Plus entry-level phablet. 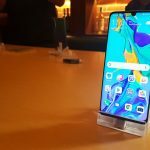 Huawei launches its latest entry-level phablet, the T1 7.0 Plus, targeted at budget-conscious consumers looking for an affordable entertainment and gaming device.